St.Lucia is an island that is known for its natural beauty, it’s lush green mountains, amazing waterfalls, and white sand beaches. There are so many other interesting facts that make this little island so much more interesting. We wanted to share these facts with you so that you could know just a little bit more of the island. Did you know, that in St.Lucia, the Pitons are considered their most famous landmark and Unesco World Heritage Site? It is the biggest tourist attraction on the island. They were created as a result of the volcanic eruption that happened many years ago. There are many resorts surrounding these tourist sites making your morning view a site to see. If you are an athletic person, the Gros Piton is definitely a climb you should try. It is a strenuous climb but definitely worth it once you get to the top. This little island was fought for by the British and French 14 times, making them 7 times English and 7 times French in the 17th and 18th century. The British took final control of the island in 1814. Because it was fought for so many times between the British and The French St.Lucia was names the Helen of the West. The island finally had its independence from England on February 22nd, 1979. It also became a member of the Commonwealth of Nations. The Legal system in St.Lucia is based partly on both the civil war and English common law making it a mixed jurisdiction. This island just keeps getting more and more interesting. It is the only country named after an actual woman. 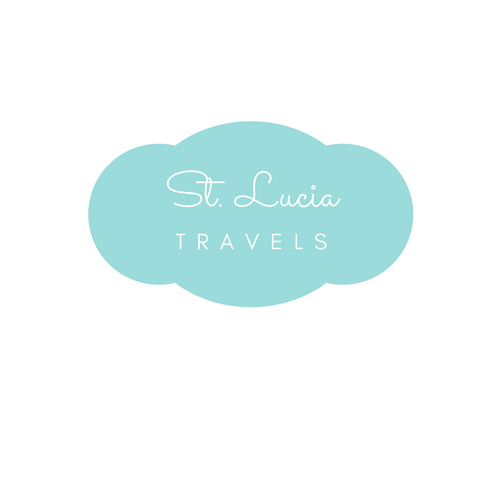 St.Lucia was named after Saint Lucy of Syracuse, a Christian Martyr who died during the Diocletianic Persecution. She was named a saint by the Roman Catholic, Anglican, Lutheran and Orthodox churches. She is one of the eight women along with the Virgin Mary who was celebrated name by the Catholics. A small island with a big history, that’s what St.Lucian is. They are second in the world as per capita for Noble prizes with their esteemed Noble Laureates. Sir William Authur Lewis was well known for his contribution in the field of economic development. The Sir Authur Lewis Community College was named after the noble Laureate in appreciation of his work for the country. Sir Dereck Walcott was another Noble Laureate that was produced by the island of St.Lucia. He was known for poetry and playwright in St.Lucia. He received the 1992 noble prize in Literature. In honor of the national Laureate, The Dereck Walcott Square was named after him. Although St.Lucia was once under the French treaty, its main language remains to be English. It is spoken throughout the island by the youth as well as the elders. There was still a part left of the French because 95% of the island also speak a language called creole. It is known as broken french as it is not modern day french but more of an older dialect from the 17th-century kione of French from Paris. Although slavery was abolished in 1834, St.Lucia still concentrated on producing sugarcane for Agriculture. Later on, in 1964 the sugarcane fields were turned into banana plantations. Banana plantation has become the biggest export on the island making it the main agricultural crop along with cassava, coconut, and citrus and a thriving fishing industry. The Arawak Indians were actually the first settlers in St.Lucia but were later taken over by the Caribs. They were called the Iouanalao and Hewanorra, meaning The Island of Iguanas. The country first attempted to be colonized by a group of English colonist that were headed to Guyana, but was blown off course and landed in St.Lucia. There were 67 colonists in all who washed ashore and purchased land from the Caribs. After a month there were only 19 of them left and were forced off the island by the Caribs. Dame Pearlette Louisy is the Governor General of St.Lucia. She was appointed by the queen as the head of state of St.Lucia on September 17th, 1997. She resides in the Government House, which is located in Morne Fortune near the capital of St.Lucia, Castries. St.Lucia’s currency is the Eastern Caribbean Dollar. It is shared among the Eastern Caribbean Union. It is used in the islands of Antigua and Bermuda, Dominica, Grenada, Montserrat, St.Kitts and Nevis, St.Vincent and The Grenadines, Anguilla and of course St.Lucia. The dollar is subdivided into 100 cents and has been pegged with the USD since 1976.In value, it $1 USD will convert to about $2.70 USD. Tourism is St.Lucia has grown abundantly since 1970. Because it is a small island lots of cruise ships brought tourism to a higher level. It is one of the country’s main source of income. Because of the many features of the island, like the country’s twin peeks Gros Piton and Petit Piton as well as it having the worlds only driving volcano, it attracts people from all around the world. Well, these are 10 amazing facts you did not know about St.Lucia. I hope you get to visit this fascinating island very soon and let us know all about your travel adventure!! !